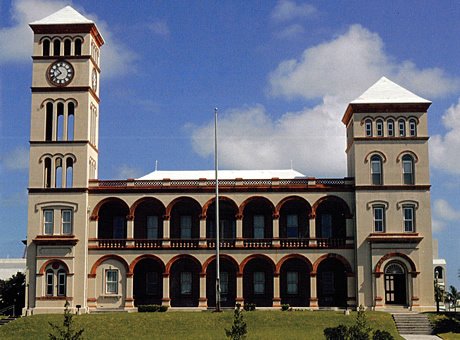 General elections were held in Bermuda on 18 July 2017 for all 36 seats in the House of Assembly using a first-past-the-post system. 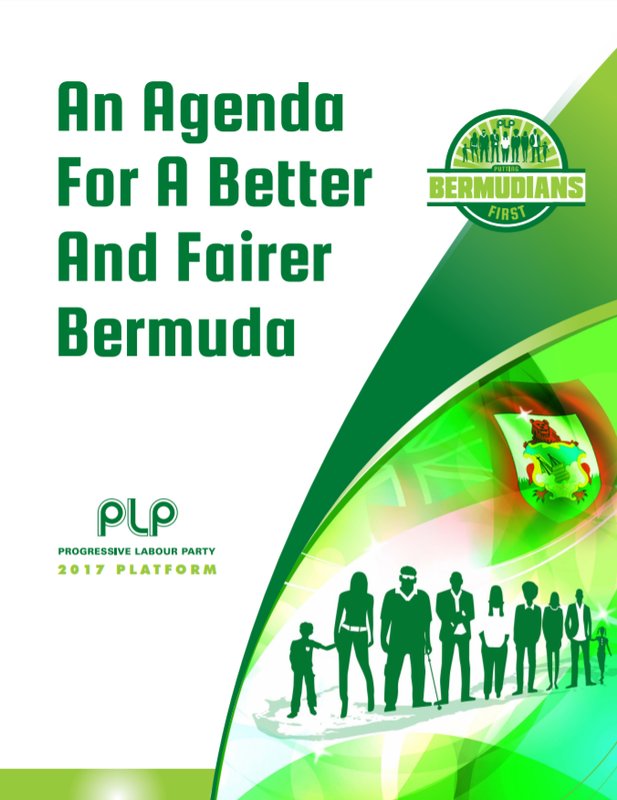 After the ruling One Bermuda Alliance (OBA) lost its majority in the House of Assembly with the resignation of two MPs to sit as independents, the opposition Progressive Labour Party (PLP) proposed a vote of no-confidence which was scheduled for 9 June 2017. 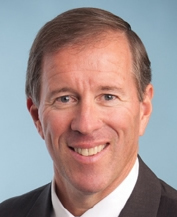 Premier Michael Dunkley pre-empted the vote on 8 June 2017 by asking the Governor to dissolve the House and call an election for 18 July 2017. Nomination Day was 4 July 2017. 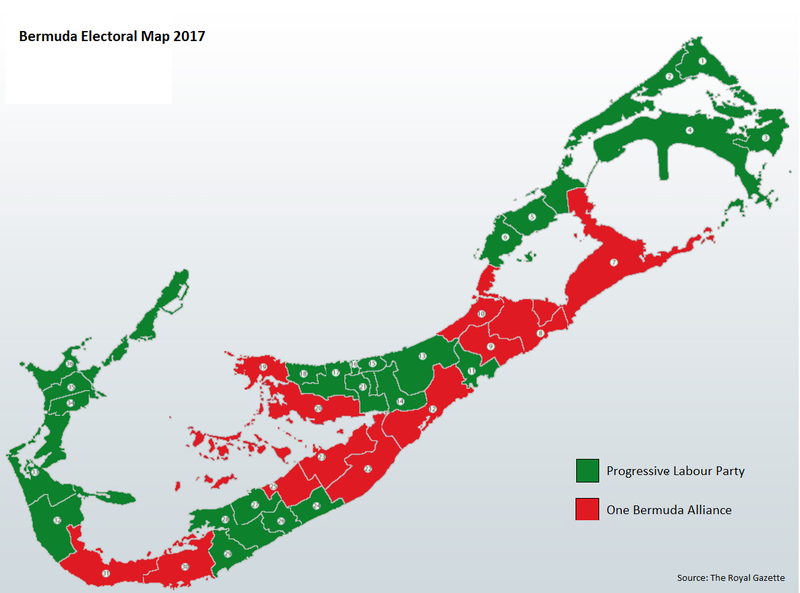 A total of 77 candidates from two parties contested the election, with the One Bermuda Alliance (OBA) and the Progressive Labour Party (PLP) each presenting a full slate of 36 candidate. There were also 5 independent candidates. 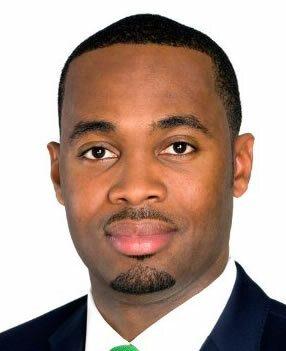 The result was a victory for the Progressive Labour Party (PLP), led by David Burt, which won 24 of the 36 seats in the House of Assembly. 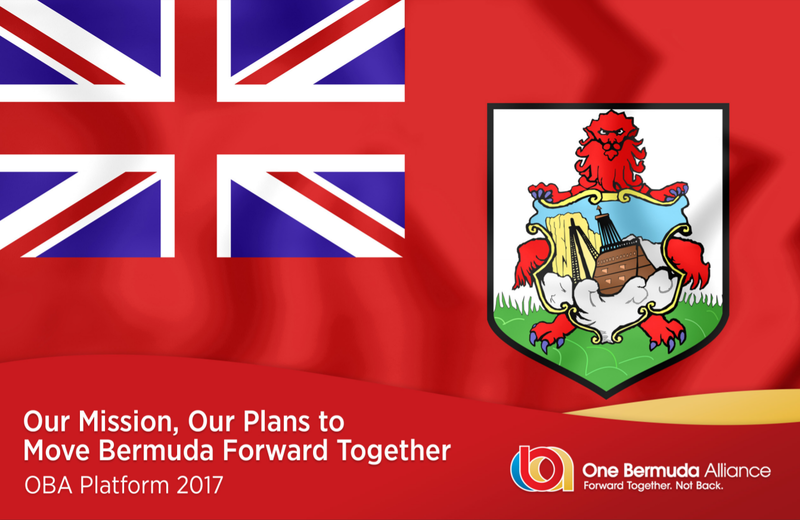 The One Bermuda Alliance (OBA) led by incumbent Premier Michael Dunkley won the remaining 12 seats.